I feel like my mind is running a hundred miles a minute thinking about and mulling over the goals I want to set for myself this next year. I mentioned in my last post that I am working my way through my first set of Powersheets, and I'm excited to spend some more time on those this upcoming weekend. I also recently posted on instagram a little about how Josh and I set goals for ourselves and our family. We sat down about a week ago and looked at our goals from last year and talked about what we did really well, and what we did not do well. I think you should definitely give yourself grace on some goals, like some we truly did about half way, but others were big fat fails; and beside those fails we put big fat X's. We don't want to trick ourselves in to thinking we did better in an area than we actually did, instead we like to be honest and say "hey that really didn't work for us this year" and revise the goal and put it on our list for the next year. As for the goals we did really well on, we put big check marks beside them and count our wins. Obviously our bucket list has fun things we'd like to do throughout the year, family goals are things like doing a devotion every night, financial goals is pretty self explanatory, as is personal goals. Goals to your spouse is the category where I give Josh three things I'd like to see him work on in the new year and he gives me three things he'd like to see me work on in the new year. We keep our sheet in our night stand, so we can pull it out at any time and look over it during the year. We also looked back the other night on our 2014 goals and it was fun to see how far we've come since then and what we've accomplished. We haven't written them down on paper yet, but we've got some pretty lofty financial goals we've discussed for the new year and I'm excited to dive head first into the year with intention and discipline. I know this is an area that I am going to have to work hard to control, because I do love a good shopping trip. But truly, we have more than enough and this year we really want to work on padding our savings and paying off some extra on our house. Goals get me so fired up and excited, I love a good challenge. But I also want to follow through, which is the hardest part for me. January can be great...but then comes February, March, April...and life gets busy, excuses start piling up, etc. That's one thing I'm really excited about regarding the Powersheets, that I'll be sitting down to revisit my goals each month to keep me focused and on track. Whenever I finish up the prep work for my Powersheets, I'm hoping to blog about my journey through them, share a few of my thoughts and my word for the year. How do you go about setting goals for the year? I'd love to hear! 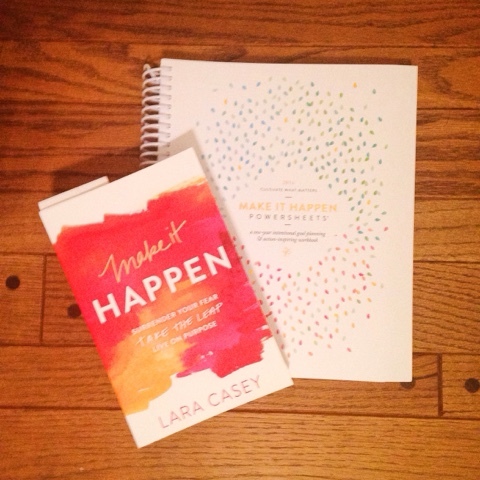 I am working on my first set of powersheets as well and I just ordered the make it happen book! I'm working through my Powersheets today! 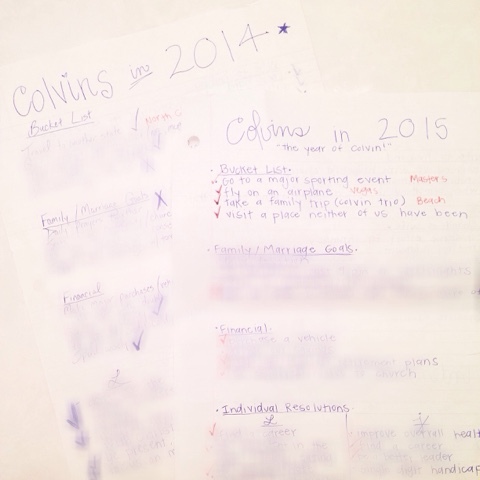 It's definitely helping me define what's important for the new year! I can't wait until Lara releases the Couples' Powersheets!